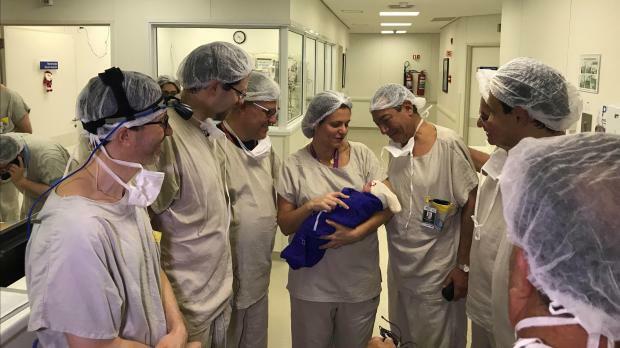 The girl born in the Brazilian case was delivered via caesarean section at 35 weeks and three days, and weighed 2,550 grams, the case study said. Experts estimate that infertility affects around 10 to 15% of couples of reproductive age worldwide. Of this group, around one in 500 women have uterine problems. At seven months and 20 days - when the case study report was submitted to The Lancet - the baby girl was continuing to breastfeed and weighed 7.2 kg.